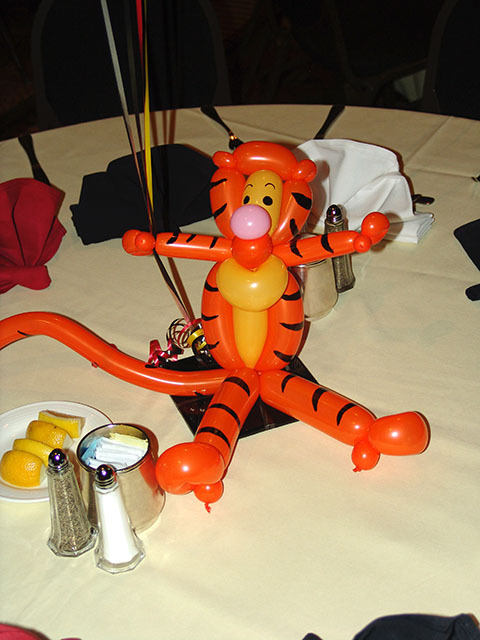 Here is a Tigger centerpiece. 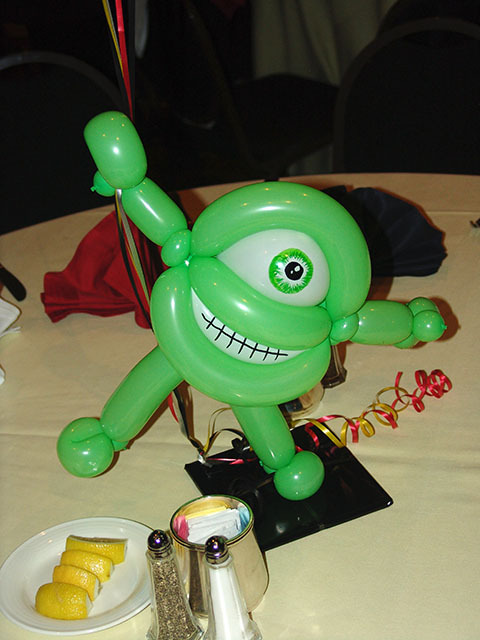 This post and more to come will feature a Disney theme done for Disney when they had a party here in Denver. 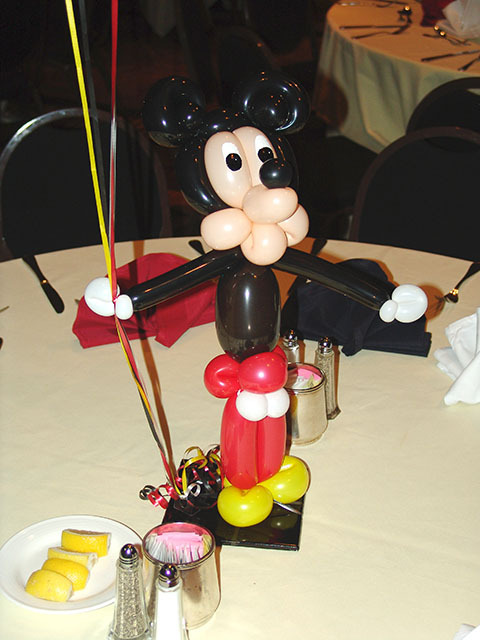 I have noticed many of you have been searching for Disney ideas. 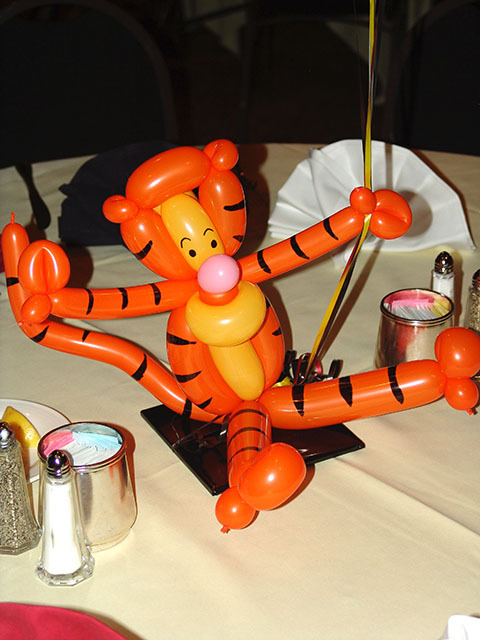 I will show you in the next few posts several Disney characters we twisted as centerpieces for a Disney event. 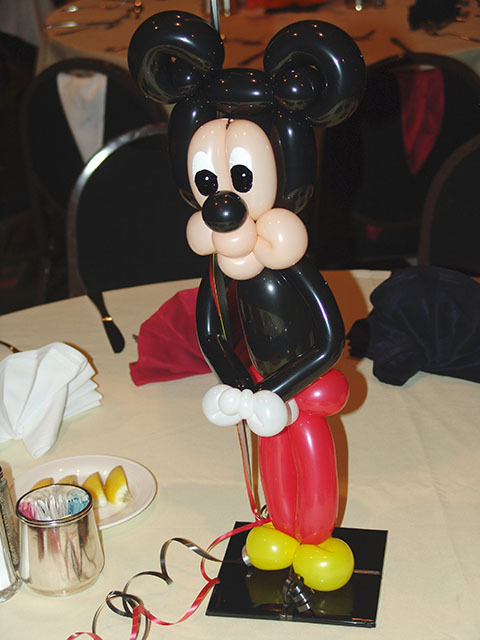 Here is a twisted balloon Mickey Mouse centerpiece. 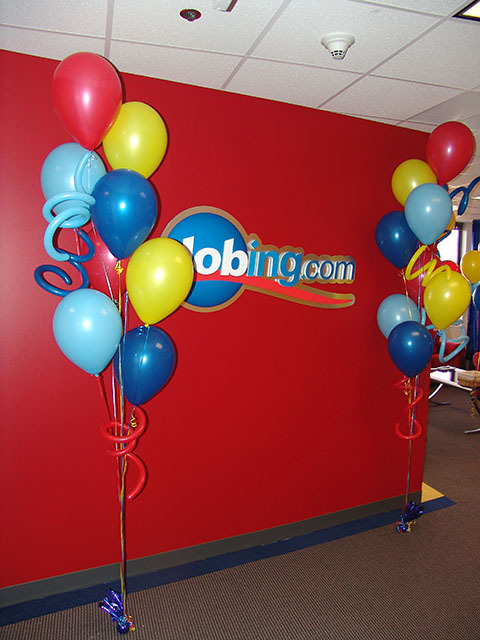 Jobing.com held a party and knew they needed balloons. 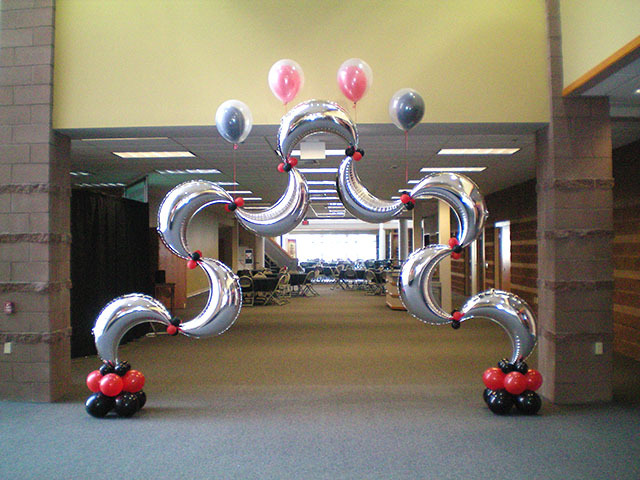 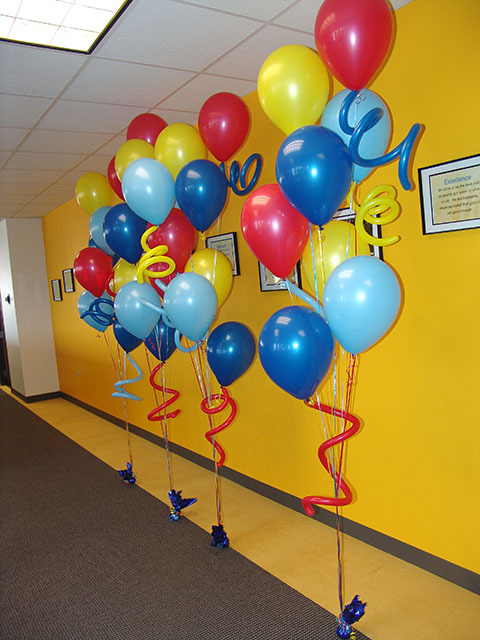 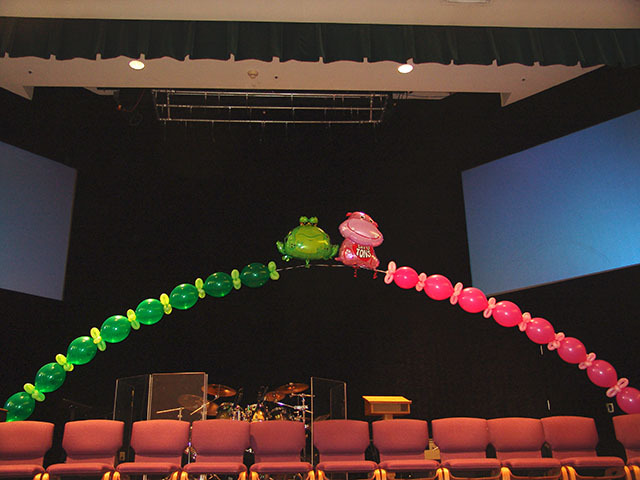 We matched their company colors and added our trademark curlies to these balloon bouquets.